Ron Clements begann seine Laufbahn im Disney animation department als Animator für "Bernhard und Bianca" 1977. Für den Film "Cap und Capper" stieg er auf zum Chefzeichner bei Disney, was man an dieser ausdrucksstarken Zeichnung leicht erkennen kann. Ron Clements wechselte bald darauf vom Zeichentisch ins Regiefach und lieferte seine erste Arbeit mit "Basil - der große Mäusedetektiv" erfolgreich 1986 ab. Weitere Erfolge sollten nicht lange auf sich warten lassen, Mit "Arielle die Meerjunfgrau" gelang ihm ein Riesenerfolg und schließlich mit "Aladdin" die weltweite Anerkennung! Clements began his career as an animator for Hanna-Barbera. After a few months there, he was accepted into Disney's Talent Development Program, an animator training ground and workshop. After that, he served a two-year apprenticeship with famed animator Frank Thomas, a supervising animator in classic Disney films such as Peter Pan in 1953, Lady and the Tramp in 1955, and The Aristocats in 1970. Clements made his feature debut as a character animator on The Rescuers and Pete's Dragon in 1977. 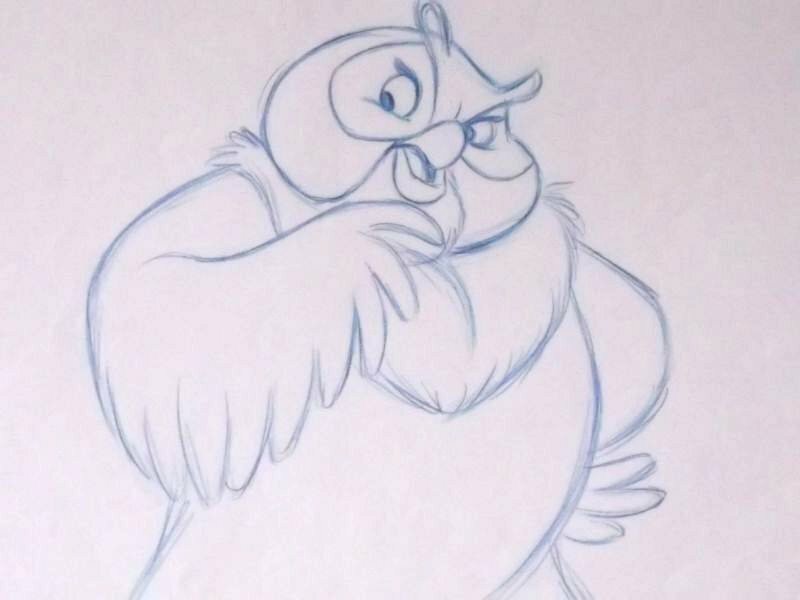 In 1981, he became the supervising animator on The Fox and the Hound. Future partner John Musker worked as a character animator under him. Clements later teamed up with Musker as story artists on the ambitious animated flop The Black Cauldron in 1985. In 1986, Clements made his directorial debut alongside Musker and two other collaborators on the feature The Great Mouse Detective. This feature was based on a pre-Disney short made by Clements.